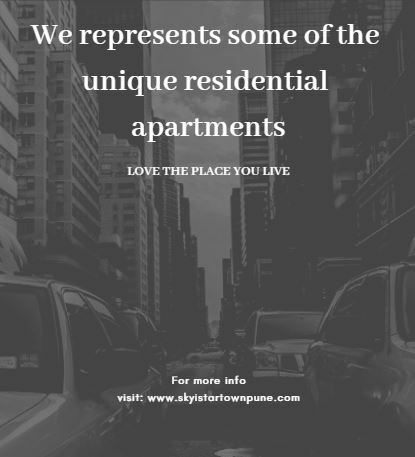 Skyi Star Town: Dream homes in Pune! Pune is one of the most preferred real estate destinations of the country that enjoys several advantages. It is a complete package for an investors’ delight that offers a plenty of options in all segments of realty spaces. The various key attributes that work in favor of the city are its robust connectivity, excellent infrastructure, predominance of quality educations institutes, innumerable employment options, pleasant climatic conditions throughout the year and virtually zero crime rate which make it the safest place to live in. The city is popular with NRI’s and HNI clients too and thus gives them a varied range of high-end developments. 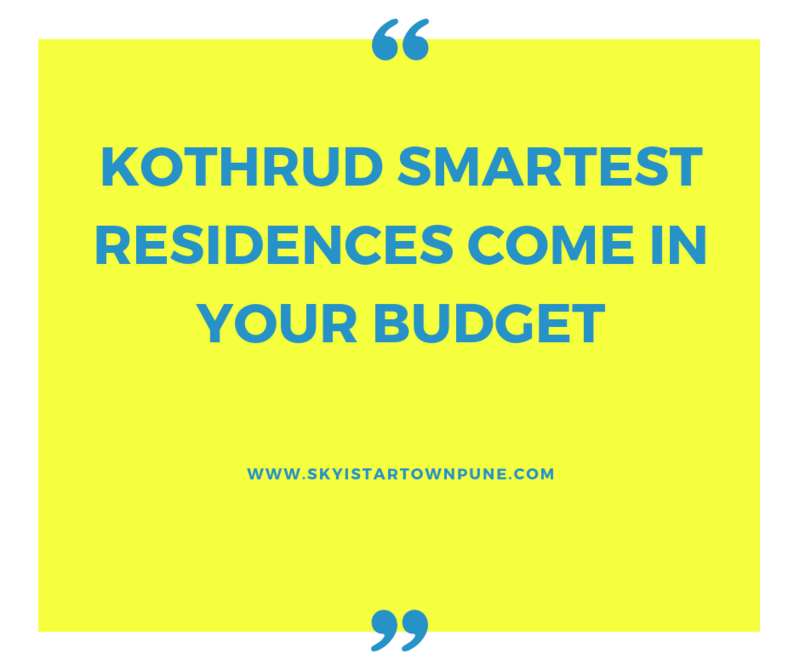 Kothrud is one of the fastest developing suburbs of the city and a popular locality amongst the student crowd living in Pune. It has students’ living here from every nook and corner of the world. Initially touted as an area for only middle-class people, it has beautifully transformed itself into a high-rise locality of Pune. Strategically located between 2 major roads, Karve Road and Paud Road, it offers excellent connectivity in every direction. The emergence of the IT sector is the key growth driver of this area. Also, it is a hub of educational institutes. The area is highly progressive and offers good quality of life to its inhabitants. Prominent builders are launching their projects here which is leading to an increase in the property prices in Kothrud. In order to cater to this increased housing demand, the developers are offering progressive housing projects which match the needs and desires of generation-next. A perfect example for this is Skyi Star Towers and Skyi Star Town. Launched by Skyi developers, both these developments are going to set benchmarks in the realty landscape of the city and will be the premium future addresses of Pune. The property Skyi Star Town is a thoughtfully designed project coming up on Paud Road that offers best-in-class lifestyle to all its residents. The floor plan includes 1 and 2 BHK housing units varying in sizes. Featuring a unique architectural design, the homes allow zero space wastage and flaunt space-efficient project layouts where every inch available is optimally utilized. It is a green living project which due to its exclusive features and specifications has also been honored with CRISIL 5 Star rating. Loaded with opulent amenities both inside-out, the property lets enjoy a divine living experience. It is just a few minutes’ away from the proposed Ring Rad. Reasonably priced, it enjoys all the essential elements for a good project- prime location, enticing features, good connectivity and world-class infrastructure. The other major project coming up on Paud Road, Kothrud, Pune is Skyi Star Tower. Meticulously designed & developed, the premium development offers you zero wastage, eco-friendly homes that add to the homemaker’ s pride and confidence. On the offer are 1 & 2 beds residences that are bright, airy and spacious giving you ample space to roam around freely. The campus includes a Skyi Club which takes care of your fitness, health & well-being, a town centre to satisfy your retail cravings, star tech & security to keep you safe, and many other lifestyle amenities. The neighborhood has a calm and serene Manas Lake for those who want to ponder in solitude. There will be more than 40 bird species in this complex along with a plantation of over 400 evergreen trees. Approximately 90% of the water shall be reused for flushing and landscaping purposes.